Livonia Police are now connecting with its community in a digital way. 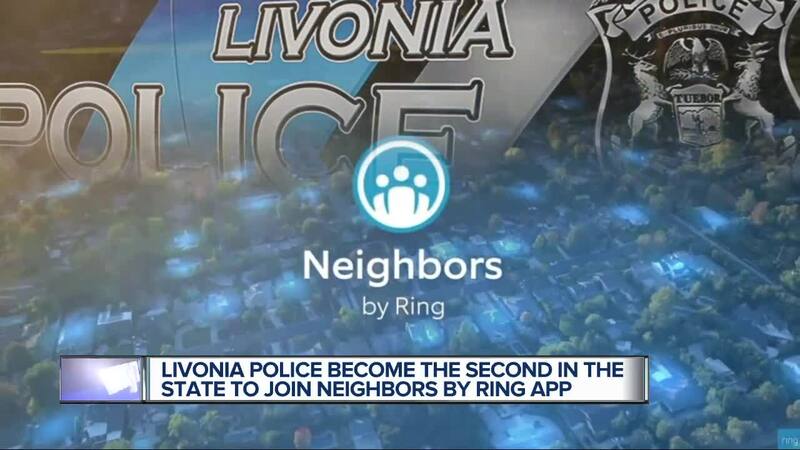 They've joined 'Neighbors by Ring', an app where people share crime and safety information about their neighborhood. Captain Ron Taig says it's the new Neighborhood Watch of 2019. LIVONIA, Mich. (WXYZ) — Livonia Police are now connecting with its community in a digital way. They've joined 'Neighbors by Ring', an app where people share crime and safety information about their neighborhood. Captain Ron Taig says it's the new Neighborhood Watch of 2019. "We have just taken our police force and added so many eyes and ears to it," he says. Those who use the app share surveillance videos and information about crime and safety issues in their community. The Livonia Police Department is the first department in southeast Michigan and the second in the state to join. There are thousands of people who use the app already in Livonia. Essa Mashni has had the app for two years and he says it gives him peace of mind. He loves how he's connected to the community. Mashni thinks having police on board is a big plus. "I think it's great. Anytime we can get more people involved in anything, it just makes it a safer community," says Mashni. Livonia police are already getting messages of support from residents on the app saying they're glad the department is a part of the neighborhood in this way. If Livonia police want to check a certain area for surveillance video, they have to ask Ring. If it exists, Ring asks the owners of the surveillance video if it can be shared with police. All app users are anonymous and they don't have to have Ring products to use it. Livonia Police say they hope more residents will use the app, too. "It's a team effort. We have to have the team on board to keep the city safe," says Captain Taig.